This makes it hard for you to extract the relevant values you're looking for. Luckily, there's a simple solution to the problem. A minor change in code can get it to work perfectly. NOW, if you simple want to just slow down the fast updating Serial Monitor, you can simply add a small delay after each print. Definitely, that's not the way to go about important values that you are dealing with. So here's how you transform your code, to a serial friendly code. Note that in the above code any consecutive values that differ by less than 200 won't be printed! This value can be adjusted by changing threshold to the required value. 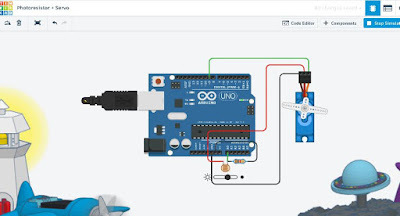 The basic idea of the code snippet is that we are using two variables, one that stores the present value of the pin and the other, that stores the previous/last value of the pin.by measuring the difference between the two, you can understand whether the pin has undergone any significant change of value. This is just perfect if you're using an LDR, to detect the lighting conditions of the room. Also notice that after each iteration, we update lastValue to newValue making the code reusable again for the next loop iteration! Shouldn't the second variable be a "<" sign?